In July just passed, one of my good friends and Paddison Program pioneer Jackie organised a fantastic event on the Isle of Man which is a small island located between Ireland and England. It was Jacki’s second annual “Without Wings” charity event which is a charity that she began aimed to raise awareness about autoimmune diseases, provide quality information for those with these conditions and also provide inspiration about how things can be changed to minimize the impact that these conditions can have. And this year’s speakers were Iida and Katy, both of whom have been on the show before as guests and both whom have wonderful personal success stories. So I’ve been able to access Katy’s live presentation and I’m able to share it with you today. I’ve taken the video and extracted the audio and it’s really a pleasure to share this with you. This tour is really one the most incredible stories you will hear of immense struggle and immense challenges that she’s been through and leaves us all humbled by what she is now achieving with her health. So here is Katie’s talk. Jackie: So anyway Katie is just amazing. And she’s just a really beautiful person and she is so incredible. I have said she’s not going to do yoga tonight because her dress is too tight she told me. But she was doing it first of all and I was blown away. She has worked so hard at yoga and so this is fantastic story but I am going to pass over this to Andy to say what he would like to say about her. Andy: Thank you Jackie. Katy is a little bit on the short side so some at the back you may need to stand to see her but there’s nothing small about this person, nothing small. Her determination I think will shine when you hear her words. I asked Katy and she came to Oxford about the food she wanted to eat. I didn’t want to cause any problems the food she wanted to. I said to her (inaudible), she never had a date. How many people here have eaten dates? Stick your hands up in the air, nearly everybody, right. To me well just to see what you’re about to hear, so I’m gonna hand it now to Katy. If you can’t hear at the back I don’t (inaudible) night is beautiful. We might just close those two doors just to help to keep the traffic noise away. If that’s okay with everybody. All right. Katy. Katy: Good evening everybody. First of all I just want to say how absolutely excited I am to be here tonight. I have been looking forward to this trip for over like 6 months, and been counting down the days every day. Thank you so much Jacki for hosting this event and for putting all this together. You’re a huge inspiration to me as well as Andy, so thank you. So tonight basically I just want to share a message of hope and of healing, I believe that there is so much hope for those of us with rheumatoid arthritis and other chronic auto immune diseases. It doesn’t matter if you’ve been diagnosed a month ago, a year ago, or your whole life like myself. One of my favorite quotes is you’re never too old, to sick, too bad, too late, to start over again. And that’s basically my story. So, my name is Katy (inaudible), I’m 27 years old and I come from Portland, Oregon. At 10 months old, I showed the first signs of juvenile rheumatoid arthritis, and before my first birthday I was diagnosed with this destructive and debilitating auto-immune disease. I grew up having to learn to live with chronic pain, stiffness, immobility, hospital visits, multiple operations, depression, and just an overall hopelessness, and fear of my future. Katy: I thought that I would never get better, that it was just going to get worse, eventually I’d be wheelchair bound. Things that honestly no child should have to grow up thinking and feeling. But even then no matter how bad things got, I kept pushing through, and never gave up, and deep down I just knew there had to be another way. There had to be a way out, and I just kept praying and just looking for that vehicle, and the vehicle to get me there. And after 26 years in January 2017, I found that vehicle, and I found my way out, and I’ve honestly not looked back since. So, I grew up in a very healthy family. When I was born, they told me my parents was healthy. My mum breastfed me, and when I was able to eat solid foods most of it consisted of homemade cooked meals, and fruits, and veggies. 5 months old though, I got chicken pox, and which is a fairly young age to get that. And at 10 months my mum woke me up one morning, and my both feet were completely swollen so bad that she couldn’t even get my shoes on my feet. I stopped crawling, I stopped moving, and when they lifted my legs up to change my diaper I cried out in pain. Katy: So my parents knew something wasn’t right, and so they were pretty scared, and they took me to different doctors at the hospital trying to figure out what was wrong. At first they thought my leg was broken so they put a cast on my leg, that did absolutely nothing. They thought of child abuse but that was quickly ruled out as well. So it took about a whole month before they finally figured it out I had JRA. And the doctors told my parents that I would have this for the rest of my life, that I’d be on meds my whole life, and that I’d be in pain. But they said that I can most probably look forward to remission in my 20’s. I’m not sure how they figured that out, but that’s what they told them. They put me immediately on Prednisone, and baby Aspirin, and Plaquenil, but even then those drugs did not control my symptoms. The arthritis just reached through my little body. At 1 year old, I was referred to a pediatric rheumatologist, and he immediately took me off of the Plaquenil saying that baby shouldn’t be on it as they affect the eyes, baby can’t tell you that. At 5 years he put me on Methotrexate, which I took for a total of 12 years, previously known as a cancer drug. And then also at 1 year old, I was diagnosed with Uveitis which is inflammation of the fluid in the eyes and the drops that they used to control this disease actually caused glaucoma and cataracts. Katy: So throughout my life I have had both of my corneas replaced, and I had a total of 12 surgeries. 9 of those my eyes, 2 of them my ears, and just recently a total knee replacement just in March this year. So I had monthly blood test taken when I was on the methotrexate to keep tabs on my SED rate, my CRP and my liver functions. My favorite part of that was getting a free ice cream cone at the end. So up until I was 3, I could not walk on my own so I had to use a walker. And even in kindergarten or pre-school, I still have my walker nearby in case for long distance walking which for me long distance was not very far at all. For years I went to physical therapy, 3 to 4 times a week and they gave me, they put different leg braces on me, ankle braces, wrist braces to keep my joints straight. The worst part was the leg braces because I had to wear them at night to keep my legs from contractions. And it actually cost me more pain because I am just keeping my legs still, it was more painful for me and can’t I sleep well. But it was hard to communicate my feelings, and communicate that to my doctors as well as my parents. As a child just the fact I didn’t really understand what was going on with myself, and then still trying to explain that to my parents. When you don’t really understand it yourself it’s extremely difficult and confusing. Katy: I have a lot of questions going on in my head, like why? What is going on? And like why can my sister jump out of bed in the morning and I have to crawl out of bed? So a lot of the time with these leg braces I would end up loosening them during the night so that I could sleep regularly. But the next morning I’d pay for that because my legs would be stuck, so I would crawl on my hands and knees to the bathtub, and soak in the water, in the hot water until my joints loosened up enough to walk. And even when I needed to use the restroom in the middle of the night, sometimes it was too painful to crawl, so I would either wet my bed or pee in my (inaudible) that was nearby. My parents were not too happy about it. I remember heating my Methotrexate pills. Growing up I had a hard time swallowing, which I’ve always had a hard time swallowing pills but back then it was a lot harder. So my mom would end up crushing, she’d crushed the Methotrexate pills and put them in a spoonful of milk, sugar, she tried chocolate sauce. Multiple different things but they all just made me want to vomit. A lot of the time it would just come right back up. So my mom would just keep crushing more, and crush more, and crush more, until it finally settled in my tummy. I also had a hard time with constipation, it has always been a huge issue for me. My mum would try grape prunes, and suppositories, and finally straight (inaudible) oil to help. I was not allowed to eat bananas growing up, because banana’s made my constipation worse. Katy: Kindergarten and pre-school, I don’t have too many memories of that. I do remember feeling small, and like everybody else just towered above me. I remember one time there was a race around the track with all the other school mates, and I remember enjoying running but afterwards feeling really really bad. And my teacher at the end she handed out these t shirts and so it fit everybody else except for little me, my t-shirt went down past my knees and all the other kids laughed at me and teased me about it. I remember feeling ashamed and feel like I wanted to hide from everybody. Another time I felt different at school was taking the school bus. At the beginning I would take it with my sister who was two years older than me. But even after a while just taking my first step onto the school bus was too hard. So my parents got the handicapped, called it short bus to come directly to my door and pick me up and take me to school. And even though that was easier for me I felt very lonely because I had, the very 2 friends that I had in kindergarten I can no longer ride the bus with so I felt very alone. Katy: I also during kindergarten underwent speech therapy each week to focus on articulation and language, which I guess is not uncommon for children who have a lack of immobility. At a young age as exploring their world is limited when developing associations of objects and firsthand experience. I ended up repeating kindergarten because of my lack of general development, as well I was just behind. After that my parents took me as well as my older sister Ashley out and homeschooled us. I was homeschooled up to 10th grade and then finished out graduation at a private Christian school. Being homeschooled was a blessing, as I was able to move around and sit down and stand up whenever I wanted to. Most of my social life was at church but even that I spent most of my time with my sisters or with my parents, and staying with my sisters imaginary friends were huge and also talking to God, who was also my only friend. Katy: Exercise and sports was extremely difficult as well. I would sit on the sidelines watching my sisters soccer games, and swimming lessons and stuff fully believing that I would probably never be able to do any of that. When I was 12, my mum put me in a ballet class for a year but it became too stiff, my feet were way too stiff and it was very painful and hard. And then I also tried swimming but I was also too stiff, my arms and my shoulders and my feet were too hard for that. I enjoyed just playing in the water, as long as my feet were touching the floor. So while my sisters were out playing with friends and such, I was by myself playing outside in the yard making mud soup, and eating it. Riding my bike on good days, and playing with my imaginary friends, and watching movies. Katy: When I was around 10 years old in the year 2000, Enbrel which is biologic drug for arthritis had just come out and my doctor wanted me to try that. So he began tapering me off the methotrexate slowly, which took a total of two years to get off of that. For the first few months my mom would inject the needle into my upper thighs 2 to 3 times a week, and a few months after that I was like mom I want to do it myself. So I started doing it and I’ve been doing it to myself ever since. A few years later I could take the whole dose and just once a week which was a little bit easier for me. The Enbrel helped a lot more than the methotrexate did, my morning stiffness was reduced and I was much more mobile. But the pain never went away, the pain stayed the same. Katy: In 2005 I went on a family trip with my family to a charity that distributes foods worldwide. We volunteered along with people from my church packaging food 5 hours a day for 5 days, and though there were breaks and group activities to make it fun for me. It was not so fun just I was not used to standing on my feet for that long. And so within the first day or so I would be limping from the second I got out of bed to the second I went into bed. I would go into the shower stall and sit on the floor and cry. I remember just being in so much pain and I didn’t know what to do about it, I couldn’t just go home, I was in really misery. I was too embarrassed to tell anyone how I was feeling so, I wanted so badly to be normal just like the other kids from my church that I just pushed through the pain with a smile on my face and continue to work until we got home. During that week I felt lonely, depressed, and angry at myself, and fatigued. It was the worst pain that I remember feeling so far. Katy: In 2008 my junior year, my parents and I decided to enroll me in a private Christian school nearby our house. At first I was very nervous as it had been years since I’ve been in that type of environment, but it turned out to be a great experience. And met many new friends that were accepting of me and invited me out to movies, and trips to the mall, and sleepovers, things that I had never done before outside of the family. I was very successful there and graduated in 2010. Growing up I had assumed that I was never going to be able to work at a job, so I never really thought about what career I wanted or anything like that. But with the encouragement of my family and friends, I started going to the local community college and started out as a part time dietary aide at a retirement home, which soon turned into full time. My job was similar to a waitress but for the elderly, and this turned out to be just like that charity event all over again. Halfway through my shifts, I would start to limp when my co-workers weren’t watching me I’d grab onto the walls to help take the weight off of my feet. I would often take my breaks in the bathroom and sit on the floor and cry. But then again most of my co-workers were very nice, and when I told them about that I had RA and stuff.But there were few co-workers that at first were not so nice. I have a couple co-workers who told me I was faking it, that it wasn’t real, that I was trying to get out of work because I was “in pain”. Which really made me upset. Katy: During this time my mother wanted me to try some naturopath doctors, she thought that a change in diet and supplements might help. But all they ever did was give me a hundred different supplements and then my diet changed from one doctor to the next to the next. None of them suggested any type of plant based diet. Cheating was very easy for me because I felt no difference in any of my RA symptoms. So for the next 3 years or so I suffered to work day after day. But it got so bad that I pleaded with my doctor to give me something for the pain because I couldn’t take it. So he started me on (inaudible) which is (inaudible) a very high pain killer. He started me out on just 2 pills a day, 1 at a time. But which helped, numb the pain a little bit. But after about six months my body got used to it so I had to keep upping the dose, and upping the dose. Up until about 2016 I was taking roughly 4 plus pills a day just to get by, and sometimes after most about 8 pills. Discreetly affected my constipation to where I was going once a week maybe. Katy: This is also when my depression, and even suicidal thoughts began expanding and getting stronger as the years went on. In 2016 I decided that I’d try one last naturopath doctor to see if anything would change. I got a little help with my bowel movements but that was about it. So I got very depressed about that as well, so I said F it, and went back to my regular diet which was a highly processed, sweet, fatty foods. My family started to worry about me, my associations also turned shallowing dark in 2016. One of my closest friends and co-worker at the time, I spend most of my time with him. And he suffered from a heavy depression, anxiety, and suicide. He basically hated everybody in general but I had convinced myself that I was the better influence on him. But in the end he influenced me and not in a good way. The more he drank, the more I drank, the more he secluded himself from the world the more I secluded myself. I began to drink every day after getting home from work to try and shrink the pain away. Oftentimes I would mix my painkillers with the alcohol which is not supposed to do. But I do it and pass out in my room every night. Katy: I had another friend at the time who verbally, and emotionally abused me for over a year. I put up with it (inaudible) myself and I deserved it, and I deserved to be treated like that. And I narrowly escaped being taken advantage of. One night when I was drunk with this person who called me his friend. I had no idea just how fast I was going down, a downward spiral up until New Year’s Day 2017. I cried out to God and said, I need… something needs change I can’t go on. I was on the verge of giving up entirely, I found no joy in life, and nothing to look forward to. Every day was filled with pain, and suffering, and it was consuming me. Within the next few weeks, I came across a video of Clint Paddison sharing his story, and how he was able to reverse his symptoms naturally. One night, a couple of nights later I was lying in bed crying from work in pain, and I watched his entire video and I got so excited. And I began binge watching all of his podcasts, and all the success stories on YouTube and stayed up till about 6 am watching them. And I finally decided yes I am going to start this, and I no longer care about how long it take, what I’d have to do, how long I have to take it. With the sacrifices I’d have to make, I saw the results that Clint have made for himself, and the lifestyle he had and I wanted it so desperately that I was willing to do anything to get there as well. Katy: So the next day was my day 1, my first day. Clint soon became my top hero inspiration and role model, and someone that I respect. And he was willing to take his time and energy to help give me the quality of life that I dreamed of but never thought possible. (inaudible) having a pain free, drug free, and back to maximum energy. He understood my pain, and my suffering, my heart aches. For me that’s the first time that anyone that I’ve ever met. It meant so much to me it was so rare and so special. So changing my diet from the most junkiest, unhealthy foods to a low fat, no oils, plant-based food was not easy at first. The first couple days I was actually vomiting up the greens. My body was rejecting it, but I was beginning to see positive fast results. And as each day passed, my hope grew and my happiness continued to grow stronger and stronger. I changed my associations, I cut off my toxic relationships, replacing them with Clint, and made new friends on the Paddison online forum. Katy: My 2nd day on the program, I woke up to significantly lower pain levels. So going from a 8, 9, 10 level pain to 4, 3, 2 pain levels which is unheard of. Increased pain levels, no morning stiffness and an over all lightness to myself. On the third day, my right arm began to straighten out something that no drugs could ever accomplish. On the fifth day I was able to clip my toe nails for the first time without a sweat which for most people that seems like a very small thing for me that was huge. I’ve always had huge unexplained bruises up and down my legs. After starting the program I have had no bruises a couple weeks after starting the program Clint and the others have ben encouraging me to start hot Bikram yoga and it was hard for me to start it because my whole life I’ve always thought of people who do yoga as weird, weird people and I thought of myself is too high, like that’s not for me. But I did started my first class. I went into my class and it was painful. My first class and a lot of the poses for me were very difficult and when I looked at everybody else in front of me and would that beautiful poses and just looked at myself and I was like How can I do this. But when I walked out I felt amazing and I couldn’t really explain it. It was all so kind of unexplainable feeling. So I was like why oh God I gotta come back I gotta go back so. So within the next month I was going six, seven days a week. I started noticing little changes like increased mobility and range of motion in my arms, my legs, my feet, my spine basically everywhere and my pain levels continuing to go down and stay down. I kept going back every day and the teachers and the students other students there have been so supportive and understanding, caring and loving since day one. They even held a fundraiser for me later on. Katy: I would stand there in front of the mirror and think to myself one day I’ll be able to do that just like him or just like her. Bikram yoga has given me a purpose in life. It’s something that I look forward to every single day. It’s taught me. I used to shy away from years because I hated the way I looked. But Bikram yoga has taught me to love myself through the bad and the good and to look in the mirror on my sweaty red face and smile at my perfectly imperfect body. It’s built on my confidence and my self-worth. It’s taught me to my body, to pay attention to it and to learn from it. I have laughed during class and shed many tears during class and most importantly this practice combined with my plant-based diet is healing my body from the inside out. 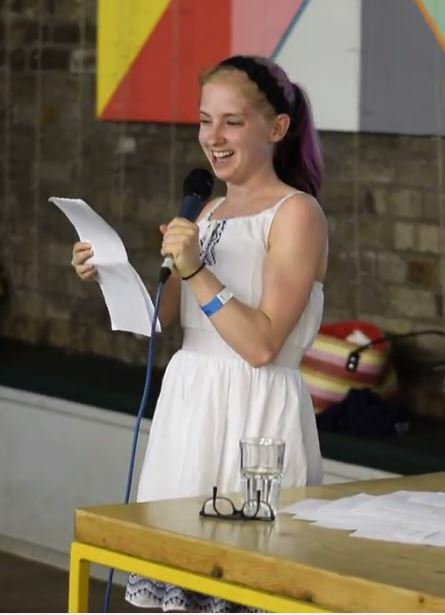 Katy: In October 2017 I was invited to speak for the first time in front of about 30 people and share my journey. October was also the month when Viciden was no longer needed as my pain levels were consistently so low. 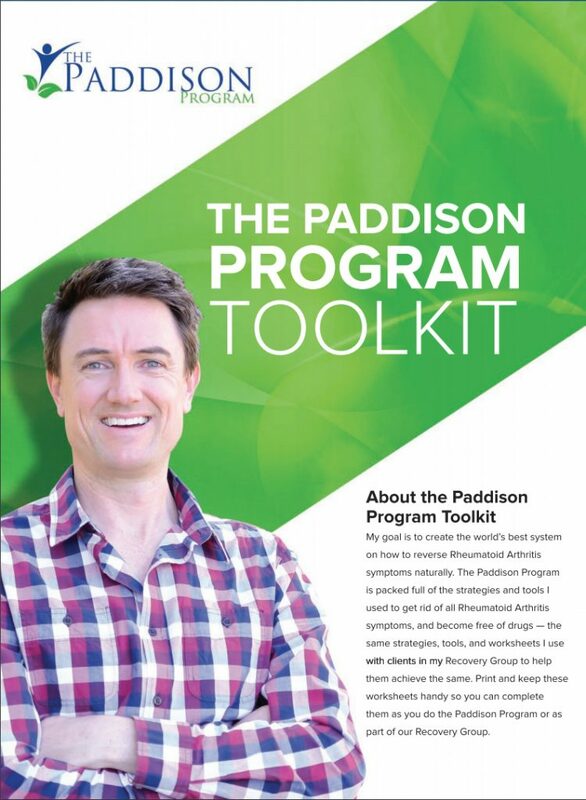 This was my very first goal that I sat in the Paddison program is that I wanted to get off my Plaquenil. And not even a year later, that goal was accomplished. Starting November 2017, I started getting increased pain in my right knee and slowly noticing my strange motion even though I’m still going to yoga everyday. My CRP was beginning to elevate as well. Katy: So I knew something was not right and my first thinking was bone on bone. After getting and actually done it showed one of the worst bone on bone cases my doctors had ever seen. They believed that the pain that I was getting was something it was hanging by small little thread and something snapped and that’s why the pain was increasing. They told me that the surgery could be any time but I decided to hold off until I had completed the yoga competition that I had been practising for most of the year. So for the next month or two I have kept going through the extreme pain in my knee until I the yoga competition. So in March I competed in the USA yoga competition for the first time in San Jose California with several of my Yogi friends. This was a huge experience for me and I loved every second of it. I met so many inspiring teachers and fellow yoga competitors. Katy: One teacher actually afterward he came up to me and asked me if he could take a selfie with me and I was so overwhelmed about it. Afterwards I went outside and I cried because just from all the love and support that I got that weekend. My score was low but that was not the reason that I competed. Just the fact that I was able to stand up there on stage in front of hundreds of people and the judges and to show how much I have improved and shown myself and show my heart out there was an accomplishment enough. I also wanted to inspire other people with chronic illnesses such as rheumatoid arthritis that they can do anything as Walt Disney once said if you can dream it, you can do it. Katy: One week after my yoga competition I had total knee replacement at the end of March. My knee surgeon told me that during surgery he could press his thumb into my bone and it was squishy. He said it was so bad. He said that it’s from all the drugs that I was on as a baby just deteriorated my knee as well as the arthritis itself. It was excruciatingly painful experience especially the first three weeks of recovery but it was a different type of pain. It was the kind of pain that I knew would go away and once it did my life would be better. I couldn’t have gone through this without all the love and support and guidance from Clint as well as the love and support from my friends and my family and my yoga friends. I went to physical therapy twice a week to gain flexion and extension in the joint as well as strength and endurance. During this time I felt muscles in my leg that I never felt before. I have my three month therapy appointment. My knee went from a negative 12 degrees to zero degrees which is completely straight and from a 90 degree bend to 122 degree bend and even more as I am still healing and I am still trying to get more. Which is amazing I’ve never never been able to bend it past 90 degrees my whole life. I was back to yoga in no time re learning how and my new knee works in connection to the rest of my body and gaining more strength, endurance and flexibility through the additional help (inaudible) a couple times a week. I was starting this month. I’ve taken about over 500 yoga classes in a year and a half. Katy: So now it’s been about a year and a half since I changed my associations. I switched to plant based, wholefoods diet and started exercising and I never felt more energized in my wife and I’m feeling stronger every single day. Sure there are off days when I’m tempted to cheat just a tiny bit. Especially when I’m out with friends and family who eat the way I used to. But the price is too high to pay if I cheat and I’m not willing to pay that, the food that I eat before we’re making me worse and sicker. And now I’m proud of what I eat and thriving. I change my thinking from I can’t eat that to I don’t want to eat that, and in yoga from I can’t do that to I will do that. Through the Paddison program and going plan based, I’ve gotten off my painkillers and starting this month I’ve started the process of tapering off my enbrel injections with my rheumatologist and Paddison support. I’ve got my hope back and I’ve got my future back, a pain free, drug free and full of energy future and I could not be more excited! Thank you! This is a seminal talk, Well done Katy.